Imagine a holiday without a single update in the feed. With Facebook quiet as a summer’s night and with birdsong dominating over the buzz of mobile phones. 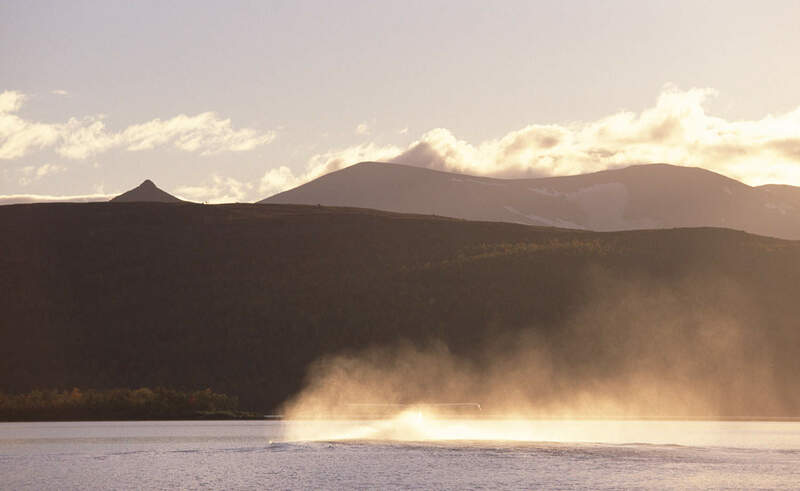 Tjuonajokk, on the Kaitum River, is a place of pilgrimage when you want to go beyond coverage. “Part of the pleasure of being lost is that no one else can locate you either”, said the author Jim Harrison. The author himself liked to be undisturbed. But of course, there are easier ways to stay away for a while than getting lost. 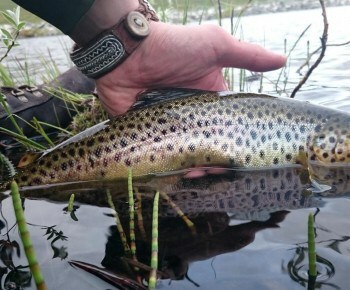 You can pack your waders, flies and fly-fishing rod in a bag and fly to Tjuonajokk. There, at the northern shore of the Taivek Rapids on the Kaitum River lies a camp that can provide you with a measure of well-being, some large graylings, and digital detox.  All in one package – but not necessarily in that order. I’ve always enjoyed fishing for grayling. They just don’t care that much. 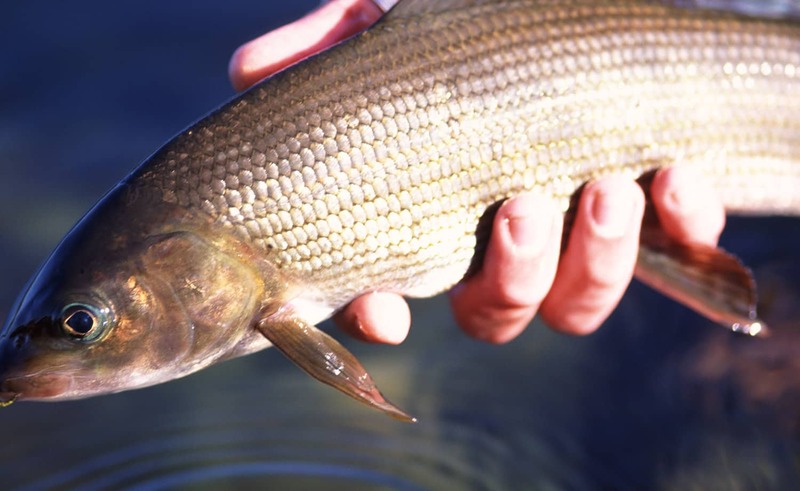 Gunnar Westrin, Sweden’s most famous fisherman, calls grayling ‘the Sun Fish’. When other fish hide in the shadows, the grayling might be out hunting like never before. An opportunist and spreader of joy. In Tjuonajokk, which by the way means ‘Goose Creek’ in Sami, the grayling fishing is among the best in Sweden, and it’s always been that way. That’s why you find so many returning guests here in the silence. These kinds of places where you’re #outofreception get farther and farther between in today’s society. That’s the way the world works. 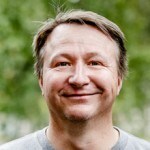 These days we’re more accustomed to the beeping at the airport security check than the call of a Eurasian woodcock in the summer night. 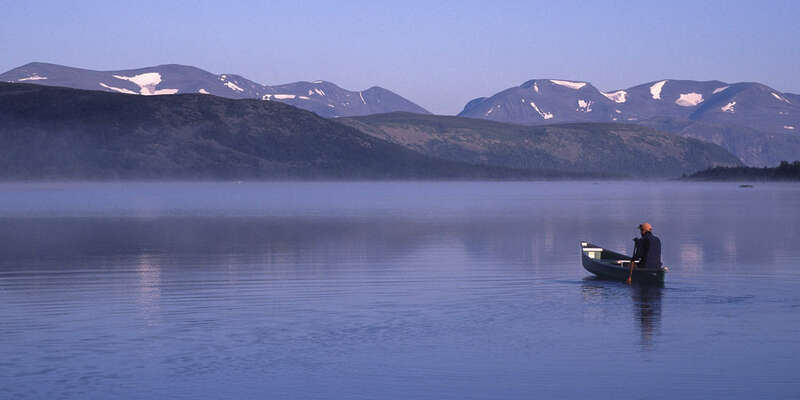 But as a fisherman, you can always go to Tjuonajokk on the Kaitum River. There’s more bird song there than mobile updates. The first night I lie awake in my cabin. I’m full and satisfied and I’ve had a lot of fish during a short afternoon trip. The ventilation window is open and I can hardly hear a sound. But I can’t sleep. Three mosquitoes outside the window are bothering me. And then there’s the bird song. Shouldn’t they be quiet, in the middle of the night? At home in the city where I live, road traffic rumbles all night through my bedroom window. There I get a good, familiar night’s sleep. 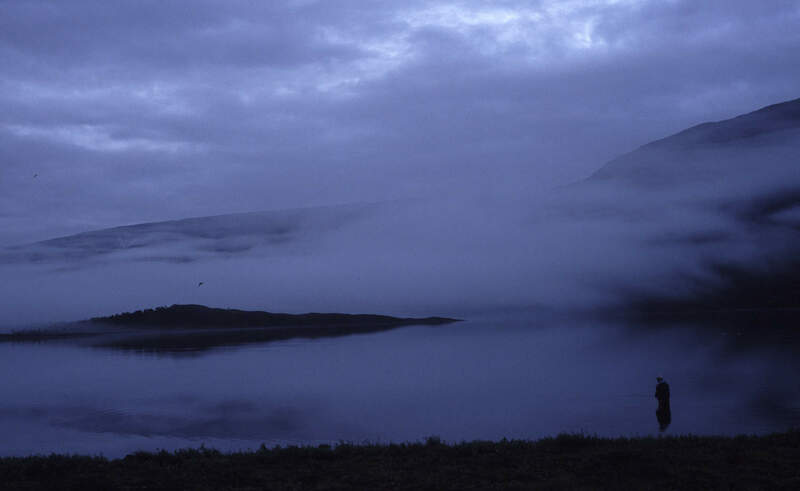 Here the silence is so loud that the melancholy wail of a loon a mile or so away fills the whole room. I wonder if I have to find my earplugs. But just thinking about it nearly makes me laugh. It’s so quiet that for the first time in a long while I can hear nature and life. Yes, I can hear my own heartbeat, my own breathing and a loon on the other side of the lake. Perhaps it is as it should be. Still, it’s not familiar, not really. But I know that tomorrow I’ll sleep better than ever. When my system has kind of got used to it. When I’ve been detoxed from civilization. 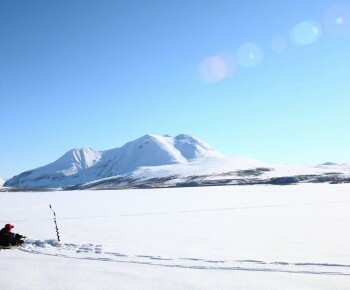 Tjuonajokk is one of Sweden’s most known fishing camps. 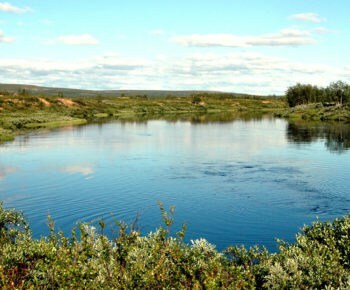 It lies along one of the last untouched rivers, the Kaitum River, between Kiruna and Gällivare, about 120 kilometres north of the Arctic circle. 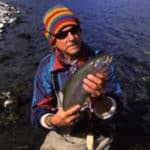 Learn more about Tjunoajokk at fishyourdream.com. But Tjuonajokk is more than just grayling and fly fishing and digital detox. The camp offers a measure of luxury in a roadless land. The food at the restaurant is worth a detour, and the view from the sauna, where you can dive straight down into the Arctic summer, is adorable. Sometimes I think people (read fishermen) just come here for this very moment, when the sauna is warm and they can sit there, relax, enjoy the view and a cold beer. Until the bell announces dinner made from local produce. Not a single person will know that you sit down at the dining table. You can’t fill your feed with pictures of food or cheer. On the contrary, #outofreception, you’ve got time to enjoy the moment for once. Or what people often call the present. What fly-fishing guide Daniel Nordvall doesn't know about the noble art of fly fishing, clear mountain lakes and flowing waters is hardly worth knowing. His goal now is to teach women to love fly fishing.